One of the shortest routes for crossing Georgian / Armenian border, if traveling from Tbilisi to Yerevan, is Sadakhlo / Bagratashen border point. There are no Visa requirements for EU, US, Canada and most other Western country passport holders for crossing Georgia/Armenia border. Check before your departure. For passengers traveling in private vehicles there is no need to left car - passport checkup will be made at window. 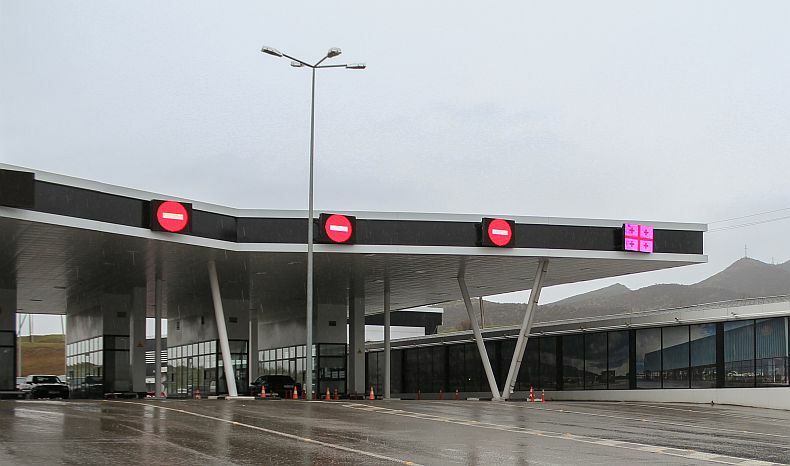 If you are traveling with bus or minivan you will be asked to take your belongings (at Georgian side) and cross border by foot (there is a terminal building at Georgian side, so you wont need to freeze in harsh weather conditions). You might be asked to put your backpack at scanner (again Georgian side only) to check are you not carrying something illegal. Border crossing usually is fast, max 10-15 minutes. At Georgian side of the border, there is a Tax Free shopping available (you can enter Tax Free, just if leaving Georgia and not vice verse), some liqueur, cigarettes, chocolate and perfume (usual tax free stuff). The prices are in EUR. At Armenian side, there is no terminal, if you are not traveling by private car, you will again need to cross border by foot. The process is simple - give a passport, on question do you like Armenia - reply - a lot, get your stamp and here you go - you just entered territory of the Republic of Armenia. You will notice a huge contrasts of both border sides - while Georgian side is recently upgraded to pretty much high standards, the Armenian side is a total mess. Trucks crowding at small gates, unpaved road with many pits and so on. For geography lovers - the border between Georgia and Armenia at Sadakhlo/Bagratshan is set on river Debed. Distance to Tbilisi about 50 km, distance to Yerevan - about 200 km.